CNN is now reporting that presidential aspirant Marco Rubio is expressing support for citizenship for illegal immigrants—a policy which was a central plank of the 2013 Rubio-Obama immigration bill. 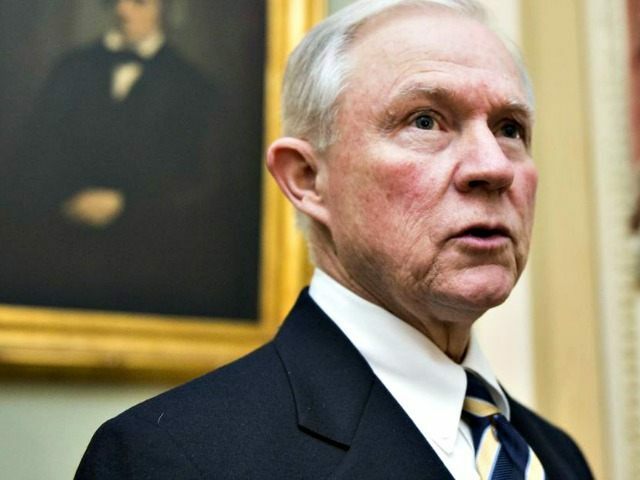 In an interview with CNN, conservative populist thought leader Sen. Jeff Sessions declared that supporting citizenship for illegals ought to be inherently “disqualifying” for any candidate running to be the Republican nominee for President. Republican voters are tired of leaders who promote an immigration agenda that serves everyone’s interests but theirs. Our nominee must embrace an immigration plan that serves the middle class, not the donor class. That includes stating categorically: no one who illegally enters this country will ever be given the benefits of U.S. citizenship. Supporting citizenship for illegal immigrants should be disqualifying. Just like we can’t have a GOP nominee who supports Obamacare, we can’t have a GOP nominee who supports amnesty. Our priority needs to be helping get unemployed Americans back to work, not replacing them with lower-wage labor from abroad. The Gang of Eight bill represented everything wrong with Washington. It was a bill written of, by and for the special interests. Despite today’s record high immigration— and four decades of stagnant pay– the Gang of Eight bill doubled the number of foreign workers allowed into the country every year. And it tripled the number of permanent residents added over its first decade. This is a hammer blow to working Americans. Our nominee needs to serve the 92% of GOP voters who want to constrain future immigration growth – not expand it even further. That’s the immigration reform voters want. These principles are the ones people of both parties want to hear expressed. These are the principles that all Americans, of all backgrounds, want to hear. They want a President who is concerned, first and foremost, about their deteriorating jobs, wages and living conditions. Rubio’s 2013 immigration bill would have granted green cards—and, therefore, eventual citizenship, welfare, and voting privileges—to illegal immigrants. However, while Marco Rubio supports citizenship for illegal immigrants, Ted Cruz does not and has repeatedly fought against granting citizenship to illegal immigrants. In fact, Cruz even offered an amendment to Rubio’s immigration bill, which sought to strip the bill of its citizenship provisions for illegal immigrants.